Welcome back! Have a seat and reorder in a breeze. Have your file sent to us online before you've even had the chance to finish your coffee. Ordering has never been easier. Plus, you're going to love the finished product. Don't lose sleep over your project. Get an accurate quote and rest easy. Can we be honest here? Consumers do not trust your brand. Their natural inclination is not toward trust; it’s toward doubt, uncertainty and skepticism. In the age of faceless companies, massive scandals and overbearing advertisements, customers feel less trusting than ever. This means any message your brand sends to customers is met with immediate scrutiny. So, what do you do? If customers automatically distrust a brand, how do you move past the instant response and get to the good stuff—the point when they actually listen to your pitch? The solution is simple: humanization. Since people trust other people more than they do other businesses, if you want to gain customers, you must humanize and personalize your brand. Here’s how. The first step to humanizing a brand is to imagine it as an actual human. Visualize the brand as a fictional character, with a human voice, a personality and even a backstory. Who is this person? What is their name? How do they dress? What’s their favorite food? Questions like these will help you develop a genuine personality for the brand, so you recognize how it would interact with customers as a human. Then, personalize the brand by showing the real people behind it. When customers see the business as merely a logo, they don’t feel connected to it. However, put your team members in the spotlight, and suddenly customers have a real person they can identify with. Share team member info on the website, host an employee of the month and even do “behind the scenes” takes on social media to put team members on the main stage. There’s just something refreshing about genuine, honest content on the Internet. Humanize the brand by opening up with it. Be transparent. Jeff Jahn, CEO of DynamiX says, “Make your secret sauce the thing you share the most because it is always what you are most passionate about.” Be transparent in how the brand communicates, what it communicates about and how it communicates with customers. Everyone loves a good story, including your customers. Storytelling is one of the most personal, human connections we have, so draw customers into the brand by sharing stories with them. For example, instead of simply saying when the business was founded on your website, tell a story about why the business was founded. What’s the passion behind the brand? Tell stories like these, and customers will feel more connected. When in doubt, personalize the brand by sharing user-generated content. This humanizes the brand in two ways: (1) it flatters the user who has their content featured on your website or social media; (2) it shows other customers that you have great relationships with their peers. Ask current customers for user-generated content through email marketing, branded materials or social media, in order to humanize the brand. Ultimately, draw customers into a personal, human brand by appreciating them from the very beginning. Let your customers know how much you care about them and what their business means to you. For example, send loyal customers company swag, offer a special discount or reach out through a personalized message. Whenever you show customer appreciation, you will generate a more human and appealing brand. It’s true: customers don’t trust your brand. But, there are ways you can change that! 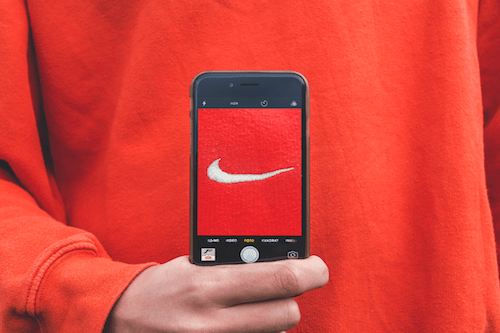 Keep these tips in mind if you want to humanize and personalize your brand, in order to better connect with customers, gain their trust and grow your business. © 2019 Independent Graphics Inc.